Lately I’ve been in a super crafty mood. Today I made a trip to the thrift shop to see if there were any treasures, there was! 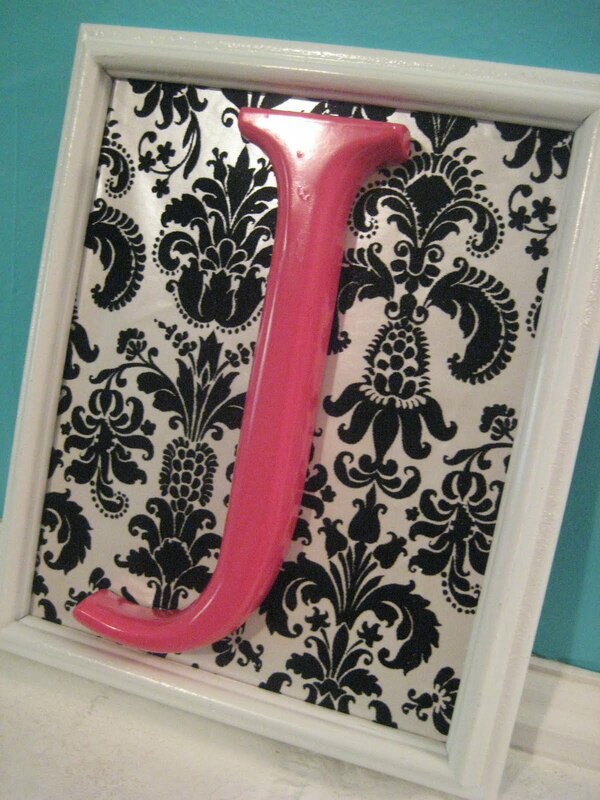 I go this frame and letter J for a total of $2.00! With the help of a little spray paint and left over wrapping paper I have new art! Sooo cute! Love your new wall color!!! Oh, this is great! Can't wait to see what other things you've got up your sleeve!